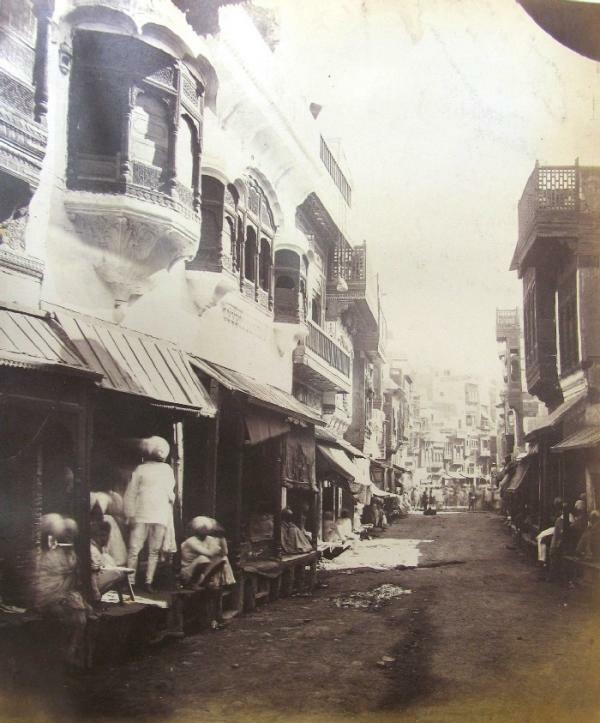 While looking through our photographic guard books to answer an enquiry about something completely different, I discovered some fascinating nineteenth century photographs of Indian street scenes and architecture. These evocative images have stayed with me so I thought that I would find out a little bit more about them. The photographs were sent to the Museum by architect and archaeologist Sir Caspar Purdon Clarke (1846-1911). He was the Director of the South Kensington Museum from 1896 to 1905 and subsequently Director of the Metropolitan Museum of Art, New York. 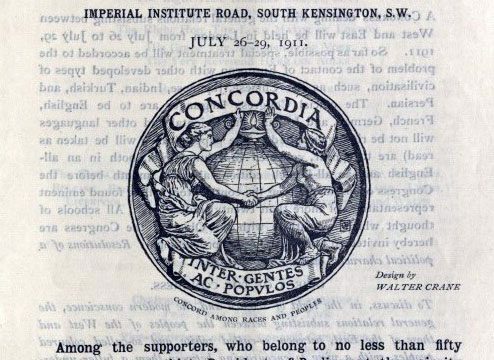 In 1879, when the East India Company’s India Museum was transferred to South Kensington, Clarke was given the responsibility of organising the collection to form the Indian Section of the South Kensington Museum. As part of this project he travelled to India with £5,000 to make purchases for the Museum. More about his travels can be found here. The photographic guardbook indexes (archive ref: A0296) record that the negatives were sent in two batches. The first batch (negatives 11487 to 11616) was received on 12th December 1881, by Mrs Cowper (the Museum’s Photographer and probably the world’s first female Museum Photographer) and the second batch (negatives 11720 to 11801) was received on 21st July 1882. 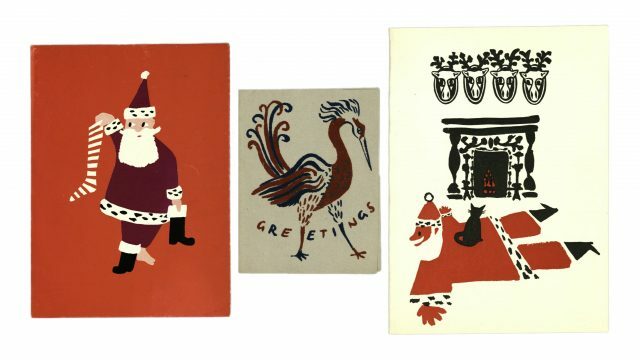 They were passed on to the Permanent Printing Company of Teddington to be printed up for the guardbooks. 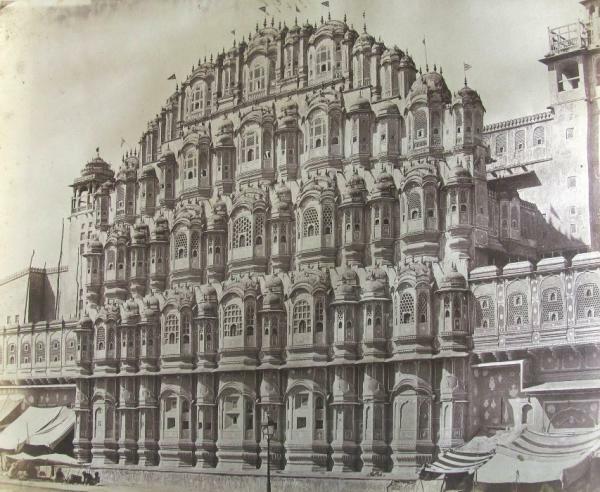 The first batch of photographs was taken mainly in Rajasthan, Gujarat, and Delhi. 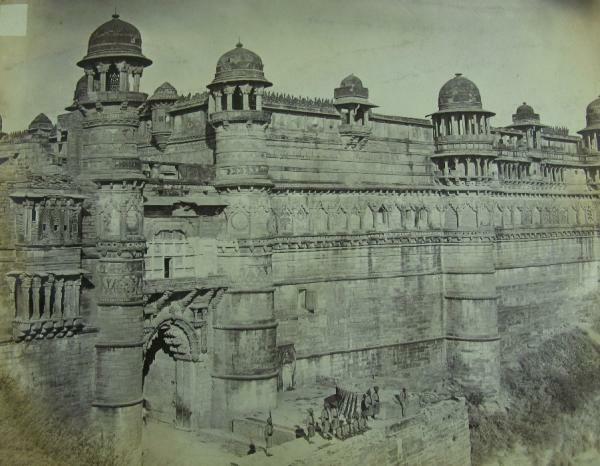 The second batch of photographs includes some taken at Gwalior Fort in Madhya Pradesh. 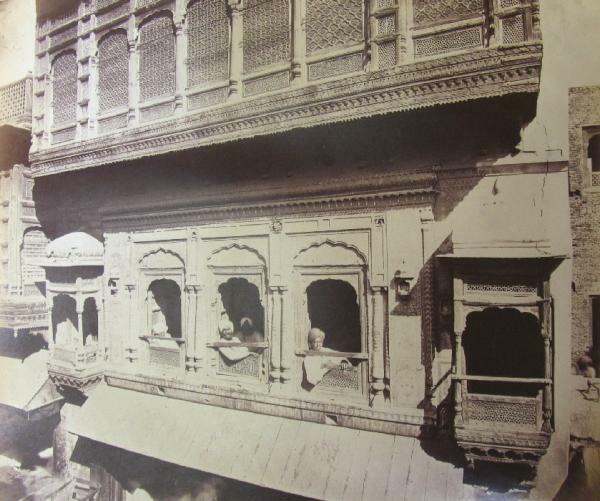 A few of the photographs show architectural features which were acquired for the Museum’s Indian collection, for instance this carved deodar wood bay window from a Merchant’s house in Lahore. 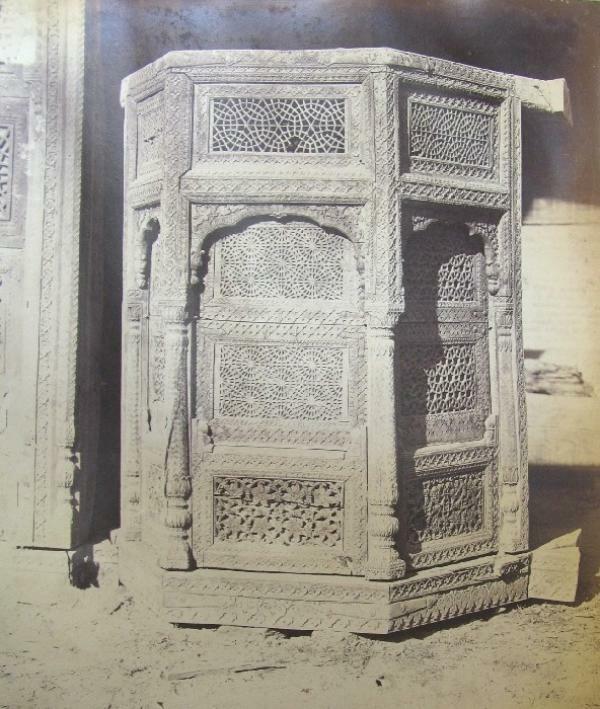 The photographs of Gwalior lead me to an object in the Asian Collection called the Gwalior Gateway. 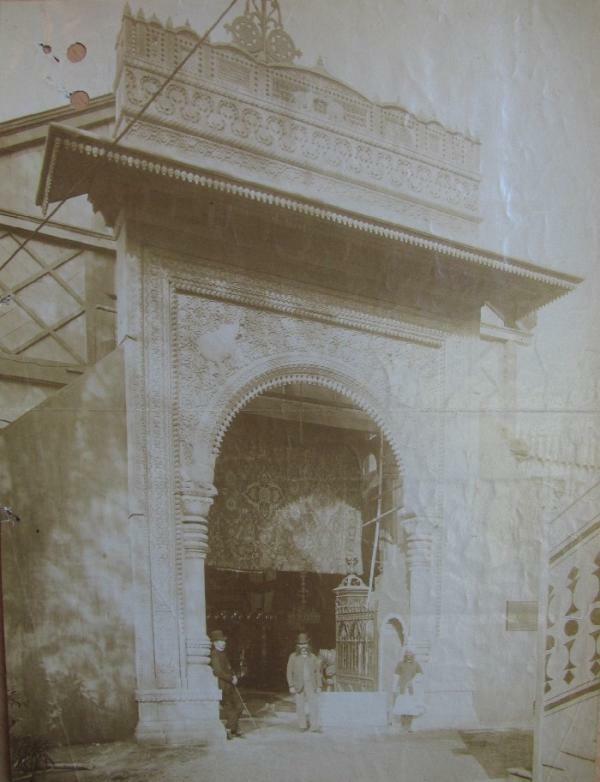 This stone Gateway was offered to the South Kensington Museum by His Highness the Maharajah of Scindia. It was designed by Major J B Keith who was involved with the archaeological survey of India in the 1880s and carved by craftsmen from Gwalior in 1883 as an example of their skill and the decorative style of the area. 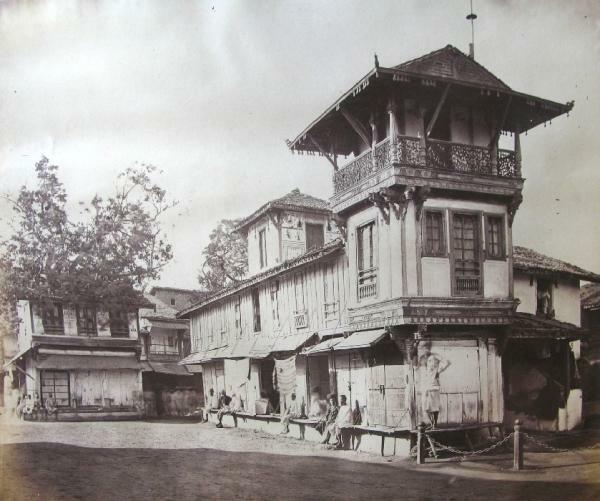 It was exhibited at the Calcutta International Exhibition of 1883-84 before being shipped to the Museum in around 200 packages. 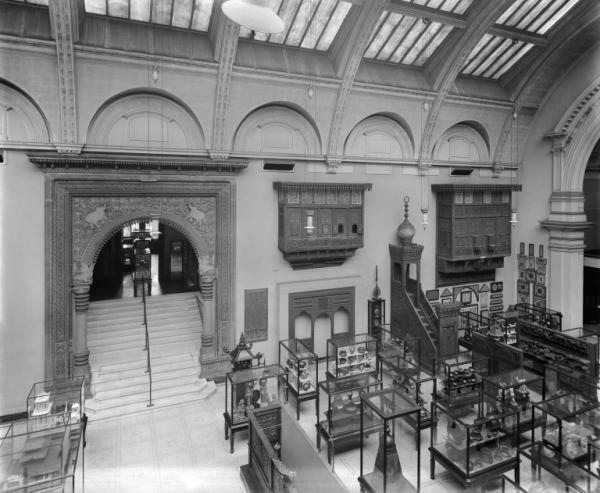 The Museum then lent the Gateway to the Indian and Colonial Exhibition, held in London 1886 before installing it, some years later, in gallery 48 where it was displayed alongside a Minbar from Egypt and examples of Islamic and Far Eastern art and architecture. 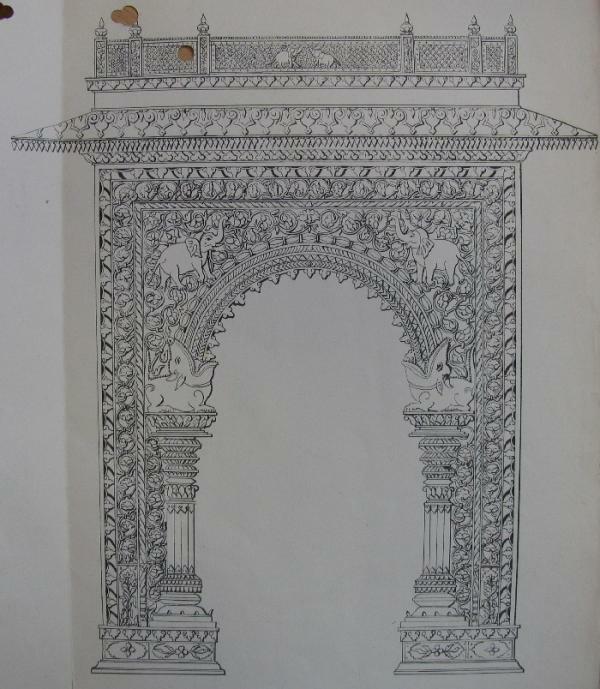 The V&A Archive has a file relating to the Gwalior Gateway (archive ref MA/2/G10) which contains papers and correspondence detailing its acquisition by the Museum and the negotiations about where it should be erected. The file also contains an initial sketch of the design for the Gateway, although the final design does differ, and an image of the Gateway after completion. As you can see from the photograph above, the Gwalior Gateway is extremely large. This caused problems when trying to find a suitable home for it in the Museum. 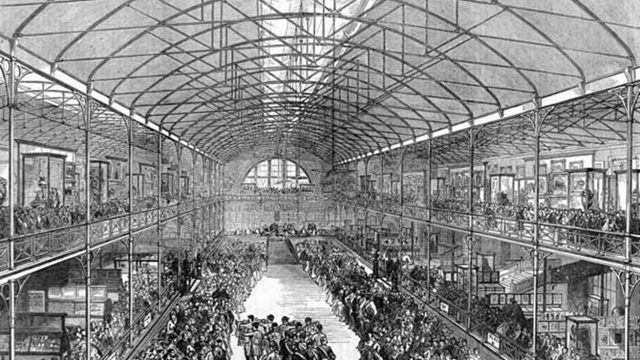 Indeed, the canopy at the top of the Gateway was not included when it was erected in gallery 48 because it was too tall. Gallery 48 is now home to the Raphael Cartoons but the Gwalior Gateway is still in there, just hidden behind a modern fascia which can be seen here. 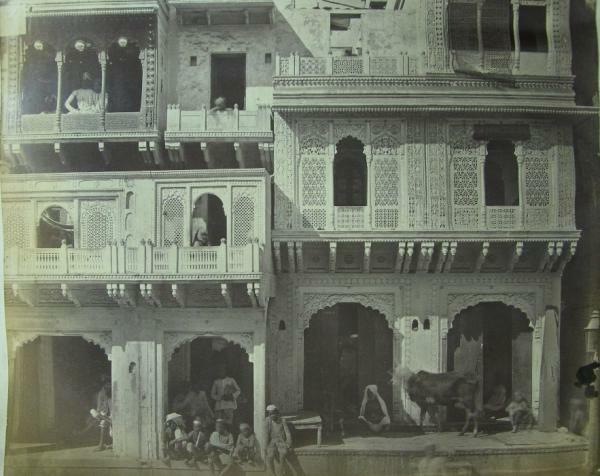 These images of Indian street scenes and architecture are just some of the amazing photographs contained in the guard books held by the V&A Archive and made available to researchers via the Archive and Library Study Room at Blythe House.